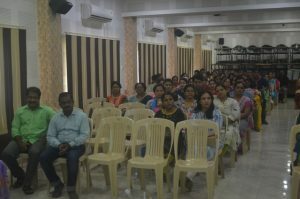 The first interactive session for the parents of class 4 was held on 7th June 2017 at 9.30 am in the Audio Visual Room, in the presence of Father Principal, Vice Principal, Teachers teaching class 4 and Parents. 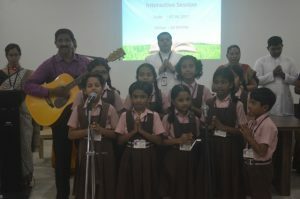 The session commenced by invoking God’s blessings through a soothing prayer song sung of the choir of class 4.Ms. 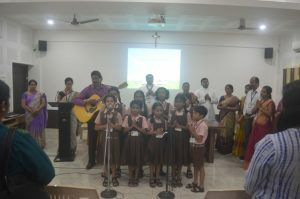 Vaishaki, class teacher of class 4C emceed the class 4 inter active session and Ms. Sowmya, class teacher of class 4B welcomed the gathering. 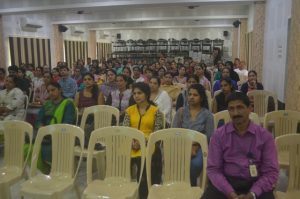 Class teachers and subject teachers introduced themselves to the parent community, after which the coordinator of the Primary Exam Cell, Ms. Sunitha briefed the parent community with the new CBSE Examination Pattern through a PPT. 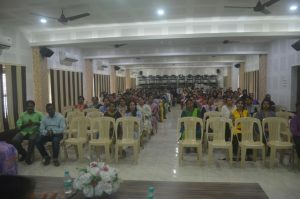 Soon after the briefing, the parents were given time to clarify their doubts and Principal answered to the parents’ queries. 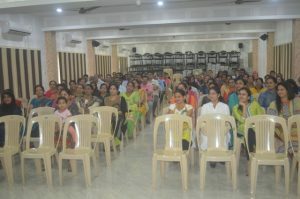 Ms. Vaishaki along with the Vice Principal conducted the PTEC election for class 4A, B, C and D respectively. 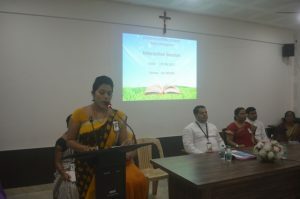 Ms. Aruna, class teacher of class 4D delivered the vote of thanks. 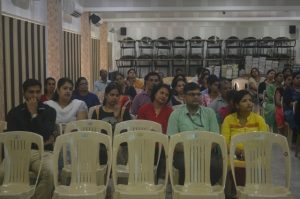 The class 4 inter active session concluded at 10..30 am.